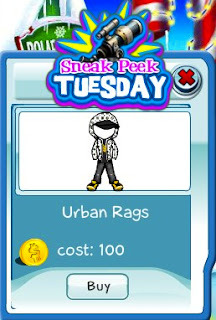 This week's Sneak Peek Tuesday is the sure to be popular Urban Rags outfit. The outfit comes with a white polka dot hoodie, black and yellow tee shirt, jeans and yellow shoes. It's only on preview today!